Development of the high-performance variant is happening "in parallel" with the standard 8 Series. BMW only just pulled the covers off the 8 Series concept, yet M GmbH is already teasing us with the prospect of an M8 variant. For now, photos of this camouflaged car are pretty much all we have to go on, as BMW is being stingy with hard facts. The cars seen here quite obviously adhere to the gorgeous overall design of the 8 Series concept, albeit with all the trimmings we’ve come to expect from M’s go-fast models. 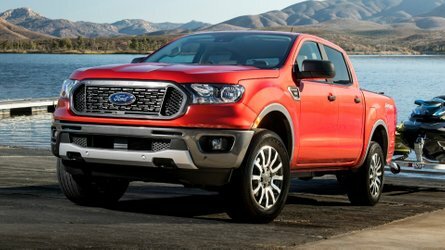 Note the enlarged air intakes in the fascia, upsized wheels with low-profile rubber, blue-painted brake calipers, and quad exhausts out back. He also said that the regular 8 Series is being developed “in parallel” with the M8. The company also said it is developing an M8 GTE for Le Mans competition. “Developing a new racing car is always exciting, and in the case of the BMW M8 GTE the anticipation is that much greater still. 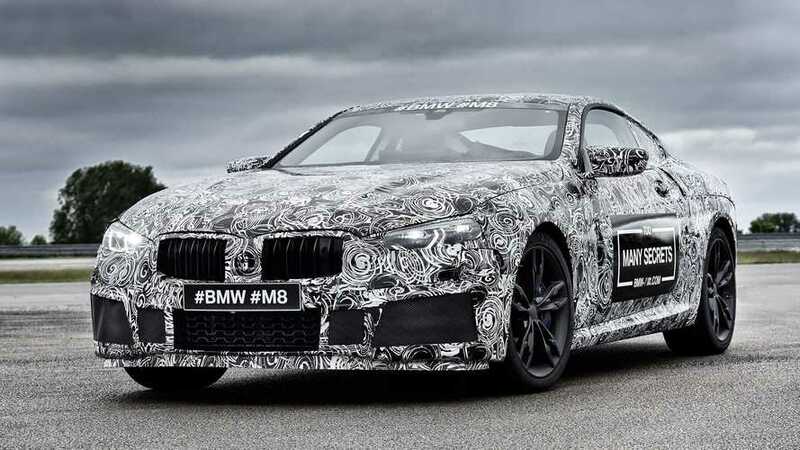 We can’t reveal any pictures yet, but I can promise you that the BMW M8 GTE will look spectacular,” said BMW Motorsports director Jens Marquardt. The BMW M8 GTE will make its race debut at the Daytona 24 Hours in January 2018. 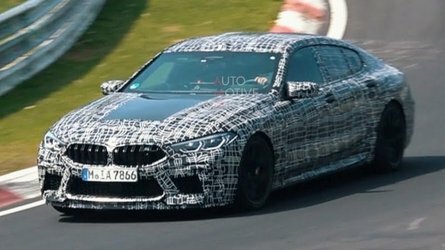 The BMW M8 has been rumored for some time, and our spies even caught what may have been a prototype for the car testing at the Nürburgring. 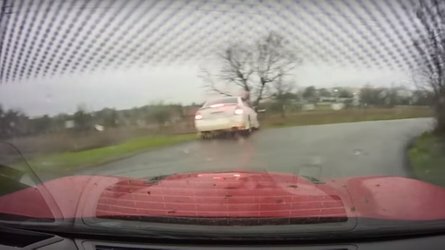 It’s possible the car will use the same powertrain as the next BMW M5, specifically, a biturbocharged 4.4-liter V8, possibly with all-wheel drive. 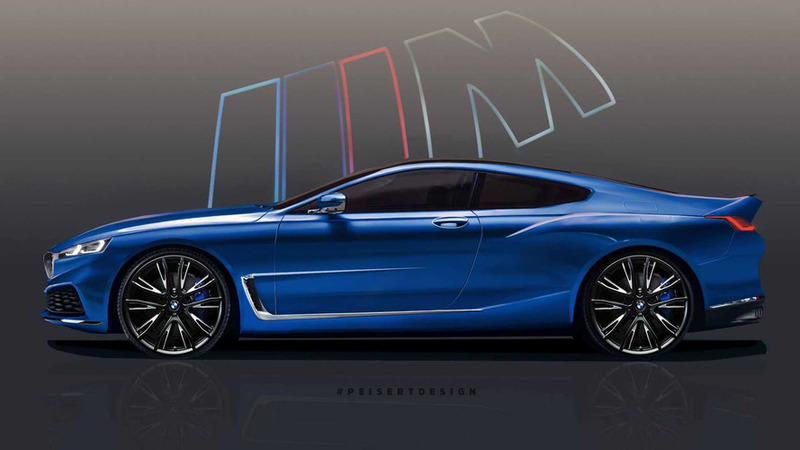 The BMW M8 is the icing on the cake of the sporty BMW 8 Series line-up. Munich. Alongside the ongoing development of the standard 8 Series, the engineers at BMW M are also working flat out on the M model. 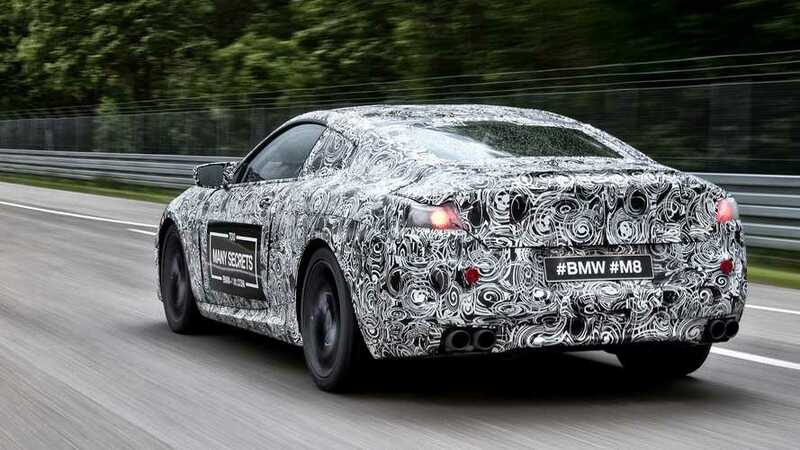 A fully camouflaged, early prototype of the future BMW M8 will be unveiled in a driving presentation as part of the support programme for the Nürburgring 24-hour race. 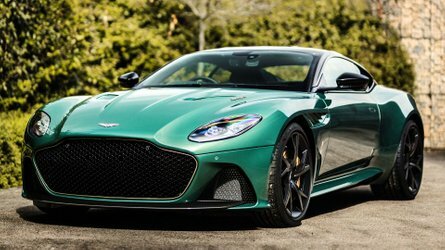 Classical M features like larger air intakes, modified brakes and a sports exhaust with four tailpipes hint at the significantly boosted power and dynamic potential of the car and whet the appetite for a driving experience of intense emotional richness.